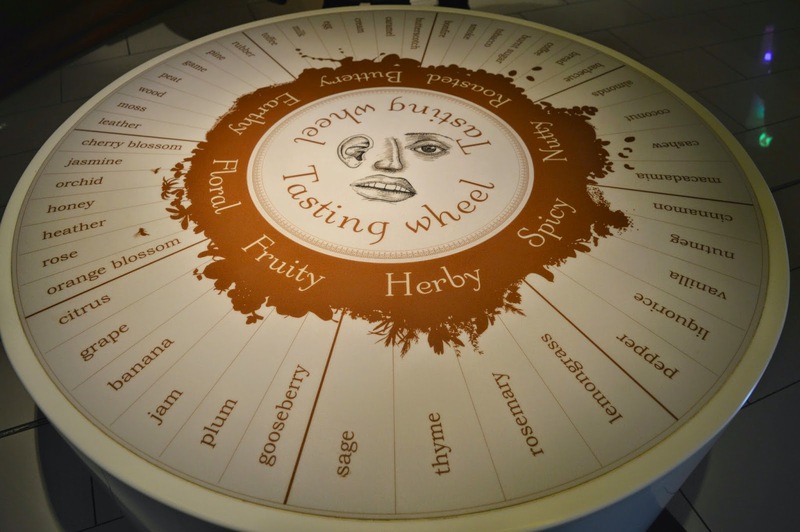 Earlier in the week I posted about our city break in York and promised you a full review of York's Chocolate Story. The Chocolate Story is somewhere I've walked past a fair few times and I've always had a little nose through the windows wondering exactly what it's about and if it's worth a visit - so I'm very excited to let you all take a sneaky look at what the Story is all about. 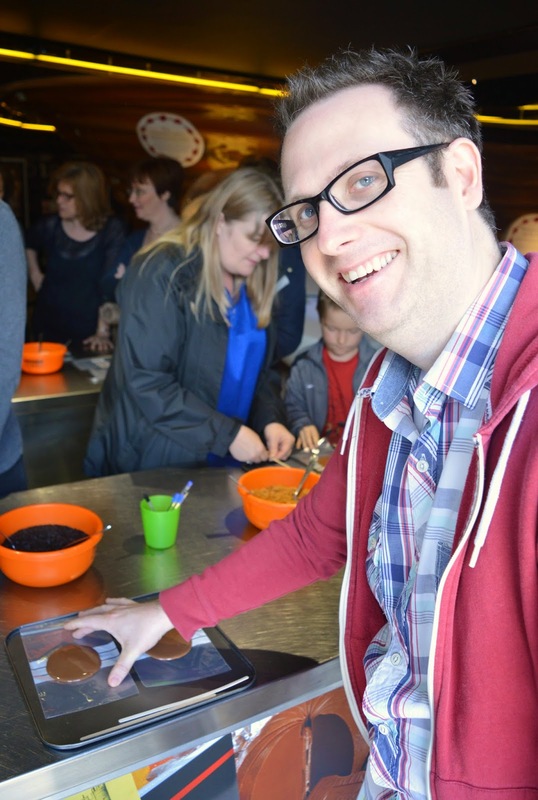 The Chocolate Story is popular, booking in advance is a good plan! We were given the allotted tour time of 11:00 am on Saturday morning and when we arrived it was clear to see it was a sold out tour. The last part of the guided tour took us to the Factory Zone. The kids of the group got to be "Oompa Lumpas" and help out in the virtual chocolate factory, teaching us how cocoa beans are turned into chocolate. There were levers to pull and wheels to spin .. the kind of fun where you wish you were a kid yourself and could have a go! We then participated in the Chocolatiers test, learning how to use all four of our senses to test the quality of chocolate. We were left giggling for the "smell test" when we had to let the chocolate melt on our tongue whilst pinching our noses. We looked a little strange! Matthew then left us to look round the other displays where we learnt about chocolate advertising. 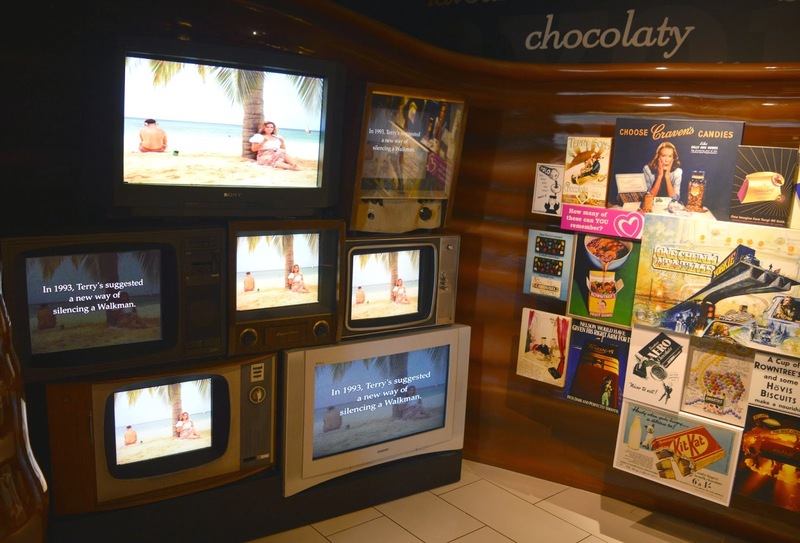 We really enjoyed the old fashioned TVs playing classic chocolate adverts although I was rather dismayed to recognise one of the TVs from my childhood - I think I may be getting old! After our look round the displays we were ready to make chocolate lollies. Each person on the tour gets a go and it was a really simple and fun process. 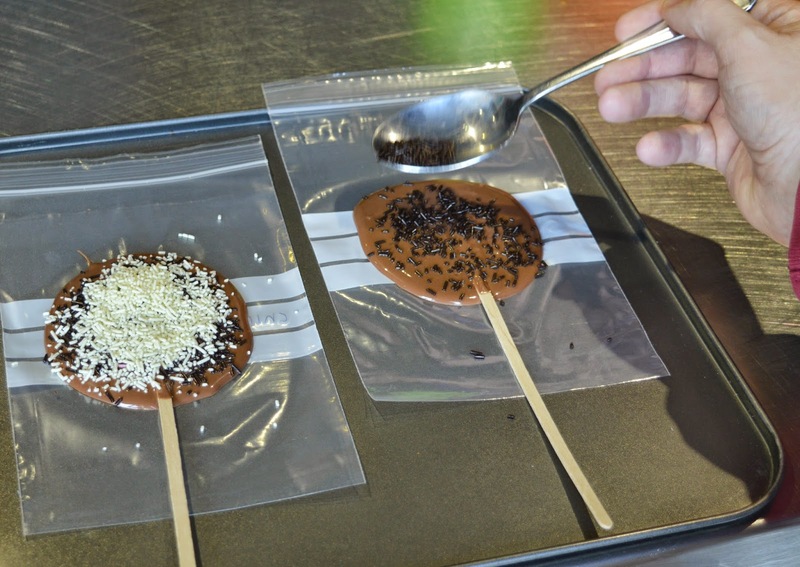 We were each piped a generous dollop of chocolate on to a plastic bag and then wiggled it to make the perfect lolly shape before quickly placing the stick into the chocolate before it set. Bowls of toppings were on the table for us to decorate our lollies. I went for milk chocolate and white chocolate sprinkles but there was also wafers and blueberries. The lollies were kept safely in the fridge to speedily set whilst we moved over to the chocolate demonstration area to learn how filled chocolates are made. 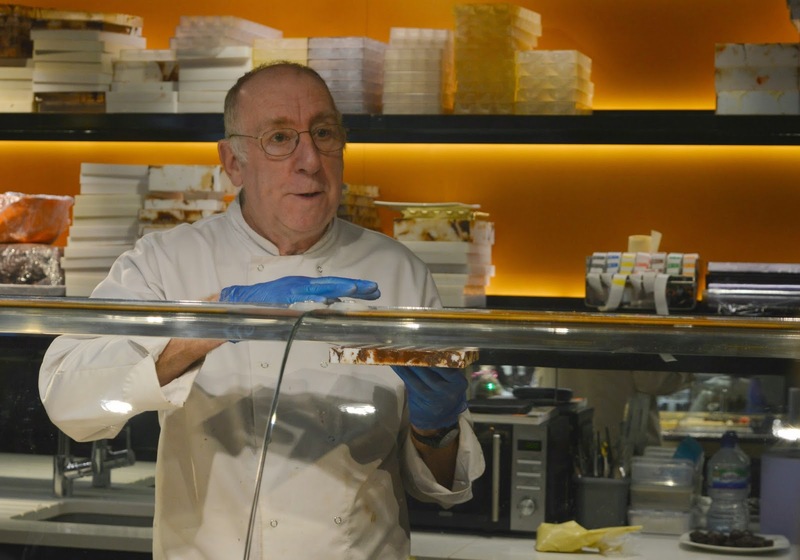 Our demonstration was lead by one of the chocolate makers who was absolutely fascinating and really knew his chocolate! He explained that chocolate moulds are chilled to the perfect temperature before being filled with liquid chocolate and left to set. 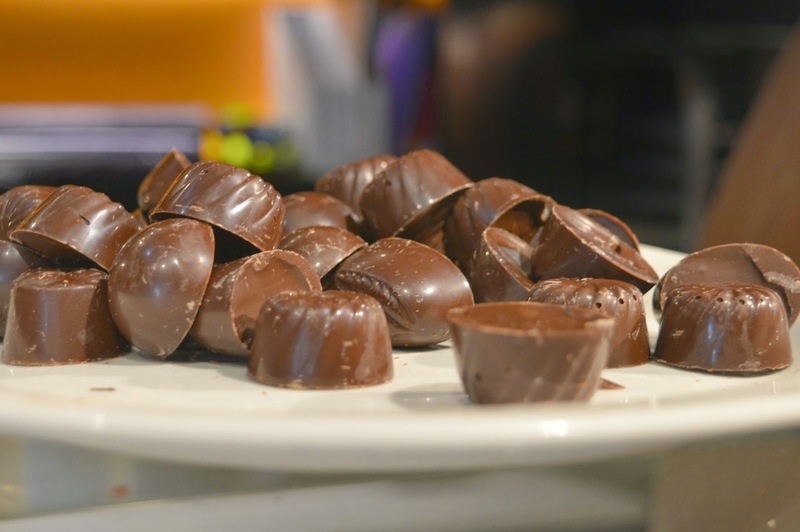 Each one is then carefully filled with delicious filling to make the perfect chocolate. One huge revelation of the tour was learning that we've been storing our chocolate wrong! Chocolate should be stored at room temperature, not stashed away in the fridge like we've been keeping ours. In the fridge it can get ruined by condensation, lose its taste and can even absorb the taste of your other produce. I'm not sure I really want my chocolate tasting of chicken and last night's pizza! Always eager to name and shame, I announced to the whole room that it had all been Simon's idea and he was the sole destroyer of my chocolate! I was also shocked to learn that pretty soon the price of our favourite chocolate bars are going to soar. The price of coca beans is rapidly rising so as soon as the current stock of chocolate has been eaten (the chocolate we ate at Easter will have been created a good 18 months before it ended up in our tummies!) we could end up paying more than double the amount we pay at the moment. Crazy! As you can imagine after all that chocolate talk our heads were pretty much full of chocolate so we were pretty chuffed that the exit out of the attraction was through the Chocolate Bar Café. Selling lots of very delicious looking cakes, milkshakes and fondue to share, we opted for hot chocolates. I only ever order hot chocolate when I'm out and about if I know it's going to be special and I had a feeling that these would be pretty special. Simon ordered a Dark Chocolate Orange and I went for the Milk Chocolate. Of course, we both opted for marshmallows and cream because what's hot chocolate without those vital additions? Wow! The hot chocolates were thick and creamy and so indulgent, we weren't left disappointed. As if we hadn't had enough chocolate we decided it'd probably be best to enjoy our chocolate lollies before they melted in the sun. I just about resisted the urge to dip mine into my hot chocolate. 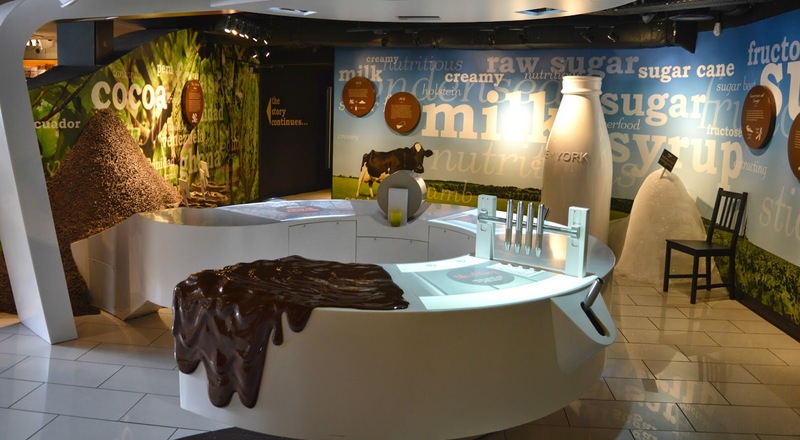 York's Chocolate Story was a really fun and interesting experience that taught us a lot. Next time we're reaching into the cupboard (not the fridge!) for our favourite chocolate treat, I think it'll make us smile to know so much more about the history of chocolate and its special connection with one of our favourite cities. Our admission to York's Chocolate Story was complimentary for review purposes ... the Hot Chocolate was a cheeky treat to ourselves! The problem with this review is that it is so good I feel as if I have been myself! LOL! Looks like lots of fun though. 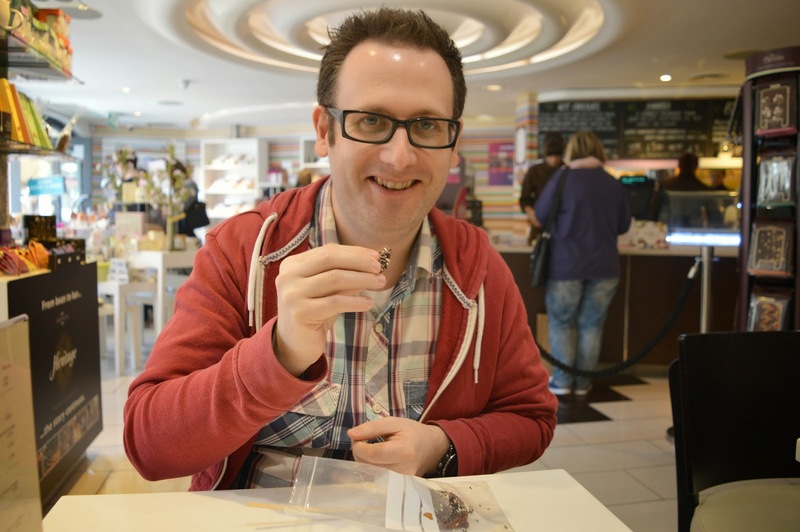 We are staying in Scarborough for a week in August and we might have a day trip to York - if we do we will definitely check here out - who wouldn't want to make their own chocolate lollipop?? I love this place - I've been a couple of times with the kids, which is great as they don't really like the tasters from the 'early days' of chocolate so I get to triple up, woo! The hot chocolate in the café is really special too.... mmmmmmm! I can't believe there is a chocolate factory in York and I didn't know about it until now! 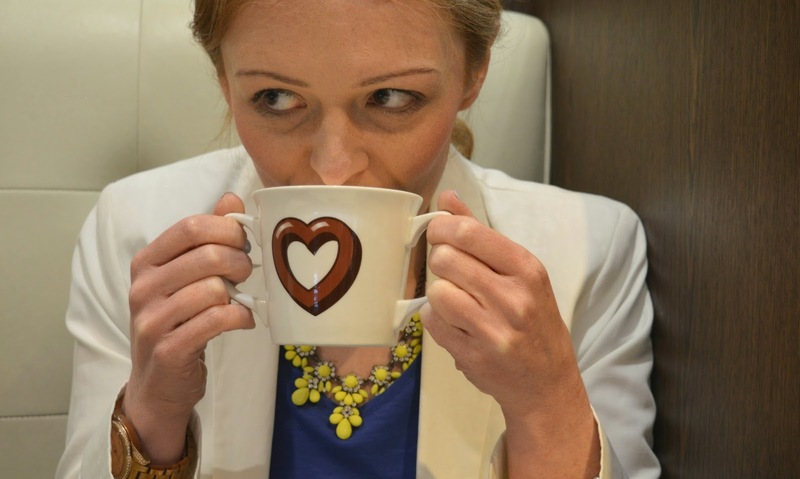 It looks so fascinating to take part in (and absolutely delicious, that hot chocolate - yum!) amazing, I'll probably be making a trip down to York for this for sure! This looks so amazing - I have to admit that I've always wanted to go but have never been. It opened about three months after I left Uni there and so I'm quite jealous that I just missed out. Oh wow! This looks amazing, I definitely need to get myself here although I doubt they'd be any chocolate left once I'm done there haha! 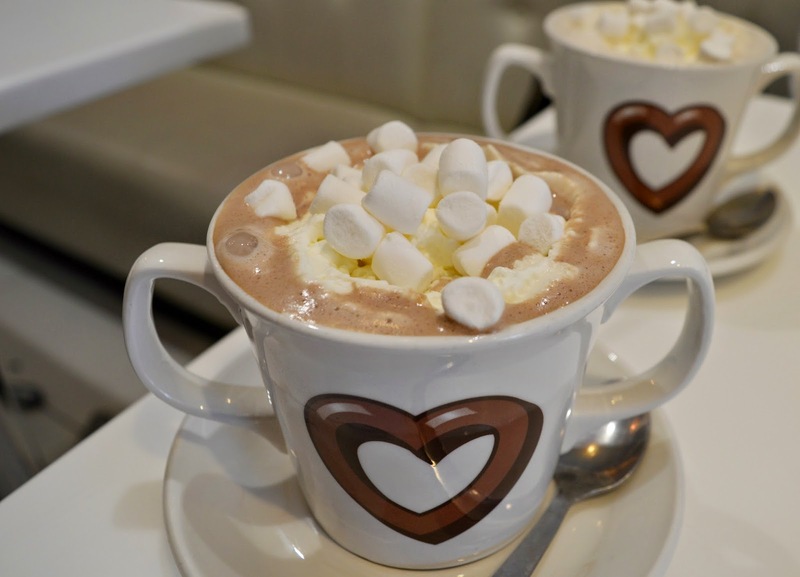 Love a good hot chocolate with marshmallows too, looks so delicious! Reading this before breakfast was a mistake! Chocolate is part of a balanced diet, right?? How to store chocolate is a huge row causer in my family- My Mum insists on refrigerating hers, but I think it ruins the flavour! I'll be showing her your post to prove that I'm right! Ha ha! I'm the same with hot chocolates- I only like to order them if I know that they'll be special! Great minds think alike and all that! If you're ever in Edinburgh I seriously recommend a trip to Mary's Milk Bar on the Grassmarket for a hot chocolate float- They're heavenly! To be honest, I'd go to Edinburgh just to have one! Yumm!